In 1840 tea-totalling or temperance was high on the agenda in Irish society as new groups began to form to promote the abstaining way of life. 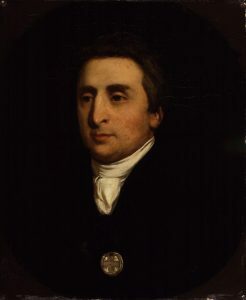 Father Theobald Mathew, after whom Mathew Bridge was named during his life time was the tee-totalling reformer of the period. He was born in 1790 in Golden, Co. Tipperary and in 1814 he was ordained. As his brother-in-law William Dunbar operated a provisions store on Michael Street, Fr Mathew would often visit Limerick. Dunbar was involved in shipping large consignments from Limerick to Jamaica. On 10 April 1838 Fr Mathew founded the “Cork Total Abstinence Society”, which in less than nine months enrolled no fewer than 150,000 names. 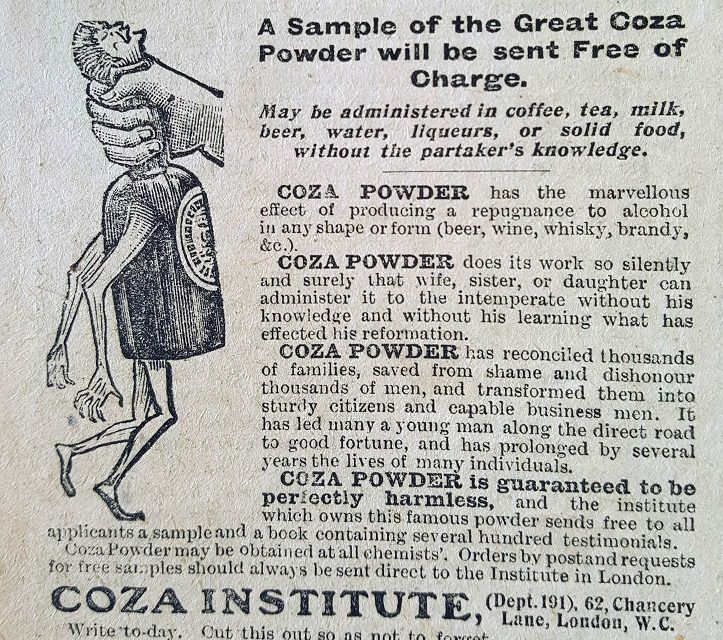 It rapidly spread to Limerick and elsewhere in the country and within a few years it spread internationally, the movement became known as the Total Abstinence Society or the Temperance Society. It was said that in Nenagh 20,000 persons took the pledge in one day. While 100,000 took it in Galway in two days, and 70,000 in Dublin in five days. At its height, in 1844, the movement had some 3 million pledges, or more than half of the adult population of Ireland. In 1839, the Mayor of Limerick stated that after an entire week spent ‘in amusement at the races, there was not a single member’ of the temperance society who broke their pledge despite the ‘strongest temptations were help out to them to do so, as large wagers were pending on them’. 1839 as ‘he couldn’t keep himself from drinking’. As a jockey he could earn as much as twenty guineas in three days but he would drink it all and for the following four days would not have money for food. He developed pains and aches and always felt uneasy till he could get to the whisky. After abstaining for five months he stated that he ‘had no more idea of taking whisky than vitriol (sulphuric acid)’. Father Mathew, and joined the present Cork Total Abstinence Society. Stephen Lyddy a sixty-eight year old, navy- pensioner, and labourer drank hard and ‘thought no more of three half pints of whiskey than of a drink of new milk’. He travelled to Cork in July 1839 where he took the pledge as he had friends who had stopped drinking after going there. He stated that he ‘has never felt the want of it from the day he left it off; never thinks of it, and is much better in health’. John Normile, a forty-six year old navy pensioner who had frequently made vows against drinking, and always broken them. He did not own a coat and barely had ‘a shirt to his back’. He took the pledge in July 1839. He is now well-dressed and when his former friends invite him to go drinking he ‘gives them a sly look, and tells them to be off’. by drinking’. All he would have for breakfast was whisky. He took an oath against drinking but broke it. He ran off to Cork in September 1839 where he took the pledge. After returning to Limerick he felt no desire to drink again. He now has meat every day and three or four of the family have tea every morning for breakfast. William O’Brien, a sawyer, would always have his coat in the pawnshop on a Monday morning to pay for his alcohol. When he returned from Cork after taking the pledge in July 1839 he has taken nothing stronger than new milk. He states that ‘he feels himself twenty-five instead of fifty-one’. Patrick MacNamara a sixty-four year old fisherman along with his brothers who were all fishermen took pledge in July 1839. They now find that they can bear the wet and cold better without spirits than with. Patrick drank hard for forty years and during that time he ‘kept his family cold, hungry, and naked’. He went to Cork for ‘the preservation of his soul, his health, and his children’. 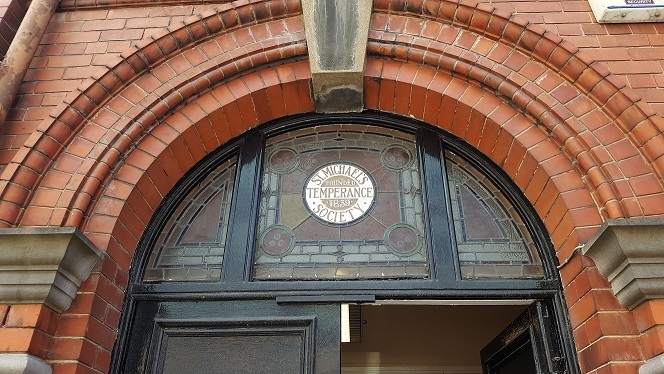 The first temperance society in Limerick was in St Michael’s parish in 1839. This was quickly followed by St John’s parish temperance society was based on Charlotte’s Quay. The temperance movement was credited with reducing crime at a dramatic rate across the country. On the death of Fr Mathew it was stated that the number of murder fell from 247 in 1838, to 105 in 1841. While there 20 faction fights in 1839 there were only 8 in 1841. While jail break attempts fell dramatically from 34 in 1837 to zero in 1841. Those who were imprisoned fell 12,049 in 1839 to 9,875 by 1845. Not everyone took the pledge. In May 1839, Michael Greatrakes who was living at Hogg’s Lane in Irishtown became so drunk that he fell into the fire in his home and suffered serious burns to his chest, shoulders and stomach. In August 1839 a man by the name of Murphy was found dead on Military Road (now O’Connell Avenue) due to alcohol consumption. In April 1840, Maurice Fitzgerald of Knockainy was on his way back from market and he had consumed a large amount of alcohol and was drunk while driving his horse and car. As a result of his intoxicated state he crashed his car and as a result broke his back. NextWho was William Mount Kidd, a Limerick grocer.